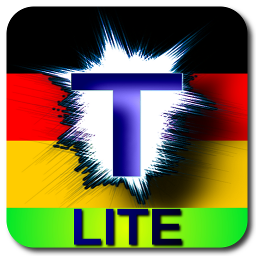 Wähle Text Lite, the sixth Binary MotorTN communication app, and the second one of German phrases, is now available on the Google PlayTM Store. With this new Binary Motor free app you can send text messages by WhatsApp, Telegram or SMS on the quickest way and enjoy selected options and texts from Wähle Text Pro. Simply choose and send the acronym or abbreviation (lingo) or its related full text of a selection of the most common phrases in German! Of course, if you want even a more complete user experience also enjoy Wähle Text Pro: more phrases to choose, the possibility to send emails, copy and paste your messages on your social networks or wherever you like, the ability to create, edit or delete them, etc., etc. Discover here more deeply all options of Wähle Text Lite, the best free app to send text messages in German.